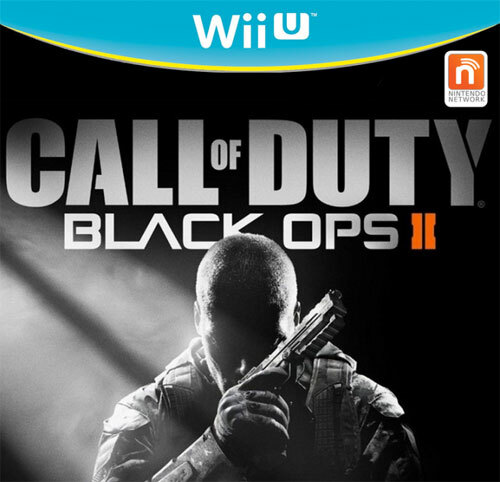 Call of Duty: Black Ops II has just been announced for the Nintendo Wii U during Nintendo's press conference. The Wii U version of the game will be pretty much the same as the Xbox 360 and PlayStation 3 versions, except that the Wii U version will run at 60 FPS at full 720p HD and will feature advanced textures, lighting, and shadowing systems. 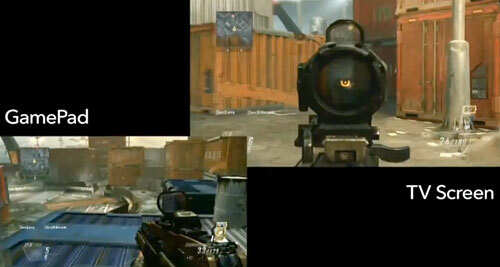 The game will be using the Wii U GamePad's second screen to allow players to view multiplayer maps, call in Scorestreaks, and choose Create-a-Class loadouts. The Wii U GamePad can also be used to play split-screen with friends; one player plays the game on the TV screen, while the other plays the game using the Wii U GamePad's screen. The Wii U GamePad's screen can also be used for solo play, e.g., multiplayer matches, while the TV is used to watch something else. Players have the choice of playing the game with the Wii Remote, Classic Controller Pro, Wii U Game Pad, or the Wii U Pro Controller - the "Pro Controller" resembles an Xbox 360 controller, which should please most CoD fans. While the current generation consoles and PC will have the game in stores by November 13th, the game will be a Wii U launch title on November 18th in the US and November 30th in Europe - the console itself starts at $299 for the Basic version.